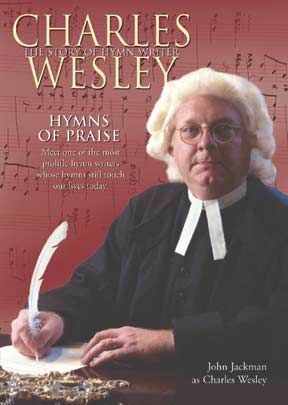 Charles Wesley penned more than 6,500 magnificent hymns. Some are among the most beloved in Christian history -- "Hark! The Herald Angels Sing," "Christ The Lord Is Risen Today," and many others appear in the hymnals of every Christian denomination. In this fascinating one-man play, you'll hear the true stories of the early days of Methodism, the events that led up to his conversion, his brother John's "Aldersgate Experience," and the astonishing events that unfolded as the Wesley brothers first began to preach -- and sing -- in the fields of England. Fullscreen. In this first person narrative, John Jackman presents the life and testimony of Charles Wesley, brother to fellow hymn writer John Wesley. Together they organized the Methodist movement as it began at Oxford University in the 18th Century. With humorous and moving anecdotes, Jackman relates the Wesleys' childhood experiences, studies at Oxford, failure in Georgia, conversion and evangelistic ministries. Special attention is given to the difference between a Christianity of the heart as opposed to formal outward religion. It is not commonly known that Charles and John Wesley struggled with fear of death and genuine inward faith - even after years of Bible study and ministry. Significantly, Charles Wesley attributed his moment of conversion as the beginning of his work as a hymn writer. He now truly had something to say. The set is not as limited as it could have been, and the camera angles break things up with different perspectives and occasional shots of the live audience. 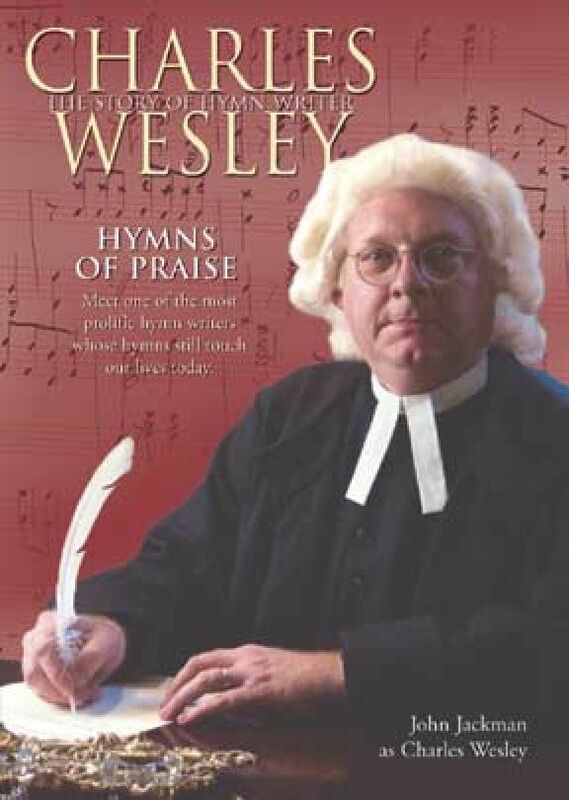 As would be expected, the singing of Wesley's hymns plays a large part in this presentation. The actor, Jackman, is even able to accompany the congregational singing live on a harpsichord. Jackman explains how Wesley put high value on the theology contained in his hymns. Charles and John Welsey advocated the theology of Arminianism, and dramatic narrative spent some time denigrating the opposing theology of Calvinism. A very positive admonition was that Christians must sing from the heart. They should have good reason to sing, if their hearts have truly known the working of God. "Hymns of Praise" would make an enjoyable evening of live drama and singing, but does grow somewhat tiring as a DVD. 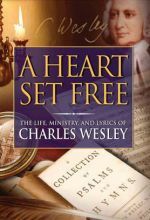 Charles Wesley was a prolific hymn writer who penned a mind-blogging 6,500 hymns over the course of his life, often writing one hymn per day for extended periods of time. Of course only a tiny percentage of these continue to be sung with regularity in today’s churches. Among the enduring favorites are the holiday mainstays “Christ The Lord is Risen Today” and “Hark! The Herald Angels Sing.” We also continue to sing, among others, “And Can It Be That I Should Gain,” “Oh For A Thousand Tongues To Sing,” “Come Thou Long Expected Jesus,” and “Rejoice! the Lord is King.” Wesley left an enduring legacy to the church and one that is loved and respected within a wide variety of Christian traditions. When Wesley began writing hymns, congregational singing was largely unknown, something that might come as a shock to many contemporary Christians. Anglican churches, which represented a majority of British and North American believers, sponsored magnificent choirs, but rarely encouraged the congregation to sing along. Having been inspired by a group of Moravians with whom they shared a journey from England to the United States, Charles and his brother John began to write hymns, and in doing so, changed the church forever. 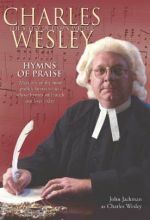 Hymns of Praise: Charles Wesley, is one man’s attempt at allowing today’s Christians meet this prolific hymn writer and inspired man of God. John Jackman portrays Wesley in a one-man play. He mixes narrative with song, often leading the audience and his small foundry choir in renditions of his hymns, even occasionally playing the hymns with their original, long-forgotten tunes. 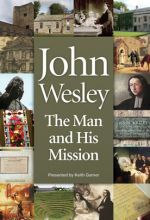 Jackman, as Wesley, recounts the history of his life: from the early days of Methodism to his conversion and to his ministry with his brother John. He discusses his growth in understanding biblical theology and even discusses the wedge that existed between himself, an Arminian, and the great George Whitefield, a Calvinist. In short, he provides an interactive, amusing, 90-minute biography of this man of God. I saw this production a short while back in Anaheim, CA, and found it informative and entertaining. There were two very good actors portraying John and Charles. While not high in drama or excitement, this one man performance boasts an actor/singer who knows Charles inside out and plays his peaceable nature off against his brother's more imperious one.